A couple weeks ago, I said that Delta’s growth in Washington smelled fishy. Now, US Airways is doing the same thing in New York at LaGuardia. Now the fishy smell is going away. It’s all becoming clear now. US Airways looks to be smacking Delta back for growing in Washington. Nothing says summer fun like an airline brawl, right? US Airways will be adding a net of 17 new flights a day at LaGuardia. And where exactly are these magical slots coming from. According to US Airways, the slots were on a “short-term lease” that has now ended. Hmm, anyone want to guess to whom those were leased? If your guess isn’t Delta, hang your head in shame. In the comments on the Delta post, reader David asked why Delta and US Airways didn’t just lease their slots to each other if they couldn’t get permission to sell them. I figured that wouldn’t be allowed at LaGuardia, but apparently that’s not true, at least in small quantity. Then again, who knows what the feds would have done had the airlines tried to go behind their backs on the entire process. You can’t hide that, and I can’t imagine it would have been looked upon favorably, to say the least. So the story now starts to come together, at least in my mind. Delta and US Airways tried to do the slot swap and set up some slot leases as part of that to ease the transition. Then the deal got shot down. Delta, either not content to wait for the court ruling or simply not expecting to win, took its slots back from US Airways at National and decided to build them up. US Airways, obviously pissed about this, then took its slots back and decided to throw down in New York as well. Either way, the message here is clear. If Delta wants to try and compete in Washington, then US Airways will do the same in New York. With US Airways now actually showing a profit in LaGuardia, this move could make sense . . . until the economy rolls back downhill again. But hey, let’s not let economics get in the way of a good old-fashioned round of fisticuffs. This is a lot more fun. Where can you see the data that says an airline is making a profit at any given city? It’s not regular public data. US Airways talked about this somewhere. The airline wanted to share that the LaGuardia operation had recovered quite nicely and was actually not the drain that it used to be. Could have been in the second quarter conference call – don’t remember exactly. LaGuardia is actually, modestly profitable in this revenue environment. It is the least profitable of any of our operation, so it’s the lowest margin and it’s modestly profitable in this revenue environment. This (competition) is what is supposed to happen when the government blocks collusion (old slot swap deal). I know that someone will tell me that the swap would have been better for airlines (maybe) and served more markets. But increased competition like this is also giving us new markets, as well as lower fares – definitely not something that would have resulted from the near-monopolies that they were aiming for before. I don’t believe there’s any proof of lower fares at this point. Also, if there are lower fares, it’s likely to be temporary until somebody pulls out. So there could be short term benefit to the customer but it probably won’t be there in the long run. Either way, the message here is clear. If Delta wants to try and compete in Washington, then US Airways will do the same in New York. With US Airways now actually showing a profit in LaGuardia, this move could make sense. Just what these slot controlled airports need, an increase in REGIONAL JET SERVICE. LCC is responding with all RJ service, and Delta as well, with the exception of DCA to MCO, TPA, MIA. A profit in LGA? I hadnt seen the numbers, care to post? I also wonder if there is some ceeding of intra-New York State flying to JetBlue going on. Or if those were just slot holders they were getting rid of. They said that Ithaca was a seasonal reduction from the summer peak but Albany was a cut. I have no idea how that would be ceding to JetBlue since JetBlue doesn’t fly either of those routes. Maybe for slot airports like LGA, DCA the airlines should have to show cause for using a slot(s) to/from a certain city. Is there really a need for 2 flights to say Asheville, NC (I have nothing against the city, just using it as an example). With so many people flying to New York city or DC, should LGA and DCA be used as a connecting point? The slots seem to important in those markets to be using slots for Hardford service to LGA if only for connection reasons or anything to ‘get’ even with another carriers. Having to show cause to start or increase service at LGA and DCA would make sure only markets needing new or increased service get it and not just wasting the slots so someone else can’t use them or to get even with someone. Its a shame there is still a perimeter rule at LGA. A few LGA-PHX or other transcons would be really nice, but Hartford? Why go through all the hassle and BS? I dunno…competitive response or not…it seems to be the same haphazard “throw it against the wall” model that DL announced at DCA. What about the 20+/- daily LGAPHL? Seems like that could fund plenty of slots. That could fund slots, but US Airways told me that this is coming from the ending of a short term slot lease and not existing routes (except for Albany and Ithaca). As someone seeing new service (CAE) I’m glad that the swap didn’t happen; lets be real theres no way under those swaps terms that any of the LCC airlines would have chosen to fly to CAE and while its doubtful this service will last long, for a brief period theres going to be a firesale on NYC flights out of this town. US is running about 20 flights a day from PHL to LGA to keep the slots, will be interesting to see how many PHL/LGA flights exist after Oct 31st. I’ll bet ya that’s where the slots are. apparently you’ve never driven Hartford to LaGuardia…not an easy drive…I do it 1-2x a week! So will you now be flying instead? I think the sole purpose of the flight is for connecting passengers. A lot of people from Connecticut fly from the NYC airports including LaGuardia, but many also simply wouldn’t put up with that annoying (and it is quite flustering unless you want to take into account a 3+ hour drive to the NYC airports) and drive up to Hartford instead. However, I admit, I don’t know what this adds. I think Hartford has 7 flights per day into PHL and I would think that would be a far better place to connect. There are also 6 flights per day to CLT, and US offers 5 flights per day to DCA. I believe Delta used to have 3 small commuter planes a day to JFK for connections (mainly international) but now at least count was down to a single 50 seater per day. I guess I’ll just be happy that BDL is getting some more new service. Yeah, I’m completely with you on that. I could get the connecting point if there weren’t so many other connecting options through other airports. I’ll guess that there isn’t a single destination that’s better served via LaGuardia than National, Philly, and Charlotte. Who knows. Fun fact, during the height or its irresponsible widebody usage days, Delta actually flew an internationally-configured 767 from JFK to Hartford. Brilliant. BDL has a US Airways Club – gotta need some traffic to justify its existence. travelnate isn’t kidding. I think I just counted 23 flights from LGA to PHL for today alone. Anyone who wants to go between the two can catch a flight every 30 minutes! It’s almost as crazy as Southwest’s 25 flights a day between Houston and Dallas…except those are all 737’s, instead of little turboprops! At least Dallas and Houston are a good distance apart so flying makes sense between the two. PHL and NYC are much closer and have train service (right??) so that seems like a lot. With PHL a hub most of that traffic must be connection traffic and not true local traffic. That’s a good point for slot controlled airports, it should be most of the traffic must be between the two points and not connecting traffic. Allow slots that actually fly local people and neither LGA or DCA should be considered as a hub type point. JKT …..of those 23 flights are there any even operated by mainline USAir? Almost entirely Dash 8 and 50 seat RJs with a sprinkling of 70 seat Ejets. In the fall, it looks like there is one mainline flight on an Embraer 190.
do we think they would only run these to keep the slots? if so, why don’t they have the ability to use these slots for different destinations? They could use them for different destinations, but maybe it actually works for them to have shuttle-like service to Philly. Not sure. 1. With 194 flights a day, is there a reason LGA isn’t considered a focus city for US Airways? 2. I know US has struggled with profitability at LGA…is there a reason they don’t replace some of the routes they currently run with little Dash-8’s with mainline service to bigger cities in an attempt to build a bigger operation there? These slots are regional slots and can’t be used for mainline aircraft..
1) Yeah, it’s because they don’t want it to be. That’s why they tried to swap the slots. It’s not a place of strength for them, so they wanted to consolidate their efforts at National. 2) Even if they could, they don’t want to try to really make things work in New York. NYC is a very expensive market to, using Delta’s words, “win” so for them to compete it would be costly. Besides, what markets would they add that don’t already have nonstop service? Now, maybe if the perimeter rule were lifted, that could create some interesting possibilities. will DL have room for all of this at DCA? have the NW gates been co-located to the DL gates in the new terminal? if so, what gave way, b/c i think NW had 4 or even 5 gates in terminal A. all i can think of is booting CO out of gates 10-14 and into terminal A but i doubt they would agree to that without some major arm twisting. Yes, Northwest gates have moved out of the old banjo (Terminal A) to Terminal B with Delta. At the same time, Frontier moved over to the banjo to join Midwest and Air Canada went as well. Now, about having enough gates for all these additional flights, I’m not sure. Since they’re all regional aircraft, they have more flexibility – may not have jet bridges. thanks brett. seems like DL lost some gates in the translation. frontier had one gate and AC had one gate (boy, they have been moved around a lot, seems like they were just in the middle wing of the new terminal next to UA, in the concourse i refer to as B/C since the whole new terminal was never properly denoted IMO since it has three concourses but uses only two letters). i think NW had five gates in the banjo. would DL have allowed themselves to give up three gates or is more movement in the works? all i can think of is usurping the four CO gates in B and trying to shoehorn CO into B/C along w/ UA (makes sense for star purposes) but that probably doesn’t work without further movement in B/C. hmmmmmmm. I would think that Continental and United would eventually co-locate, but I don’t expect that would happen for awhile. Who knows how this will work, but they’ll find a way. The perimeter rule is a moot point. Trying to take off LGA’s short runways and go any farther than Denver is pretty tricky, especially in the winter when the jetstream picks up and you have to load more gas. That’s why you won’t see LGA to PHX, any plane would be capped at 50%. ATA used to do a Saturday nonstop SFO-LGA, but I don’t think there was a nonstop return. Reminds me of many years ago I was in St. Maarten and was on a PanAM 727 to to Miami and the flight was full and they said there was a heavy cargo load so we didn’t have enough fuel due the short runway to get to MIA so would have to stop in St. Croix for fuel, which we did. But as they were telling us this, sitting right next to us was a AA DC10 going nonstop to DFW. To this day I wonder how is it a fully loaded heavy 727 couldn’t make it to MIA without stopping for fuel, but a DC10 (which even empty had to weight more), could make it to DFW (this was a normal route for AA). Not true. LaGuardia’s runways are both just over 7,000 feet. National’s main runway is about 150 feet less than that and Alaska flies nonstop to LAX every day on a 737 from there. US Airways also flies multiple dailies to Phoenix. If they can do it there, they can do it at LaGuardia. Just a note on the BDL flights. It’s not a maintenance base reason or aircraft routing reason. Piedmont will be flying the route, it doesn’t do maintenance there or fly there from any other cities. I also think it’s a viable business commuter route. A 3-hour drive seems like just long enough to make flying a viable option (I’m not saying it’s the best option, but definitely competitive with the drive). 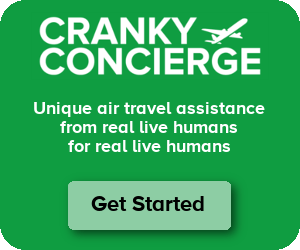 This is by far the best article I’ve read on the flight increases. I’ll definitely be back to read more. Hrm. Piedmont is flying the route? When did hell freeze over and US Airways and Delta stop being mortal enemies? Thanks, RedBaron007. If it’s not aircraft-related, then it has to be a bet that there will be commuters on the route. Right now, it’s relatively cheap. With 21 days in advance, it starts $70 each way. Starts at $130 each way at 14 days, $150 each way at 7 days, and $210 with no advance purchase. The schedule is pretty good for a commuter going to LGA, but on the way back, it’s 115p or 945p. Not exactly commuter friendly, unless you’re going to dinner before coming home.